If you’ve always dreamed of having the perfectly smooth locks of a Hollywood starlet, you might just be one step closer to making that a reality. Keratin treatments are quickly becoming a popular option at many salons. 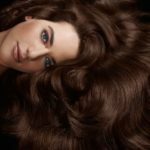 Since Keratin is a Protein that naturally occurs in hair, the treatment won’t cause your hair to break and will actually make the hair shafts stronger, smoother and more resilient. The process itself can take about 90 minutes (or longer if you have long hair) and simply involves our specialist Goldwell Keratin product being applied to your hair, which is then sealed in using the heat of a flat iron. Wait three to four days after getting the Keratin Treatment before you shampoo your hair. This will allow the product time to work on your hair. When you do wash your hair, use a Sulfate-free shampoo to maintain the smoothness; our staff can recommend products for you to maintain your look for the best results. Although the Keratin treatment itself will not cause your hair to break, damage or breakage can occur from using a flat iron that is too hot. So make sure that you have the Keratin treatment done with a stylist that is knowledgeable and experienced. 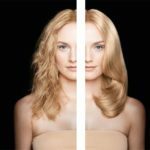 The results from a Keratin treatment should last about two to two and a half months. So don’t wait. If you’ve always dreamed of smooth, straight locks, give us a call today and book your appointment for a Keratin treatment!